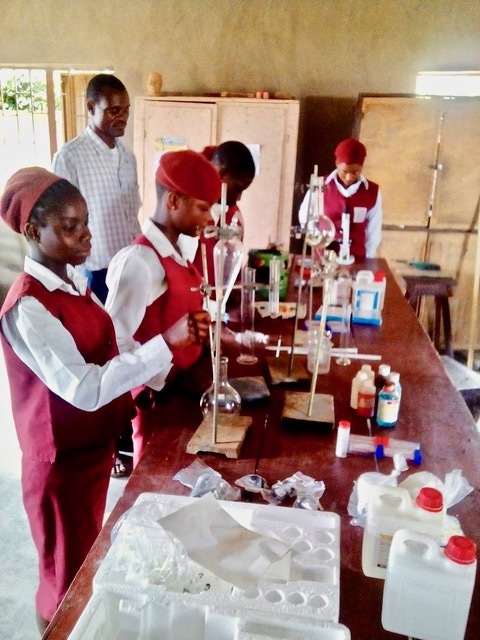 The Women’s League of Ogbomoso operates a special school to educate poor students whose parents are too impoverished to pay the fees required by other local schools. Located in a crowded urban setting, the school’s facilities were being vandalized; another problem was that animals such as chickens, dogs and goats would wander through the open campus and into the classrooms when school was over, leaving messes that students had to clean up each morning before classes could begin. Everyone involved yearned for a better learning environment than that. The Women’s League asked NFW to help provide a security wall to protect the campus. Located in a bustling city of over a million people, the Women’s League school provides a high level of education to help its students break out of the poverty in which they live. Families are asked to pay what they can; the shortfall is made up by funds raised by the Women’s League. David Adeniran and his wife Esther serve on the school’s board. He managed the purchase of materials, which were covered by NFW, and recruited local volunteers who did the work. 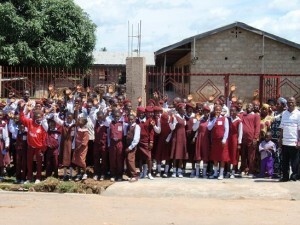 Construction began in July 2010 and was successfully completed two months later. The new wall provides protection from vandalism, and prevents animals from coming through the classrooms. The result—a much better learning setting! In 2014 NFW funded another project that provided plastering on walls and added ceilings in seven classrooms, with the WLO supplying all the labor. 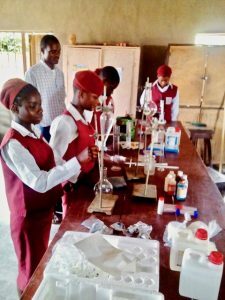 The project also bought science lab equipment, library items and sports equipment.